The ROOR brand is known all around the world for creativity and top quality products. The guys from Roor Seeds are a selected team of the world’s top breeders. 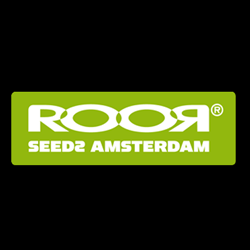 ROOR SEEDS AMSTERDAM is the result of this amazing collaboration. To keep things simple they have used two designations for ROOR Seeds Lines. The ROOR s-line is for our Sativa’s! The ROOR i-line contains our Indica’s.